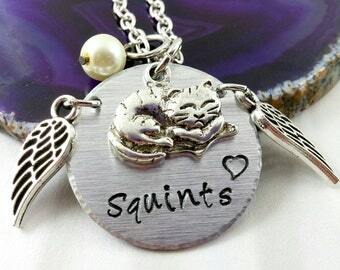 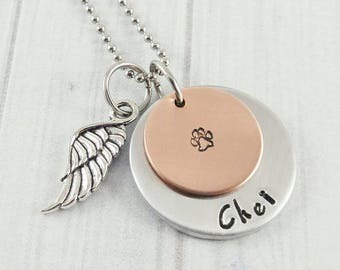 This lovely custom Pet Urn Necklace can be used for cats or dogs. 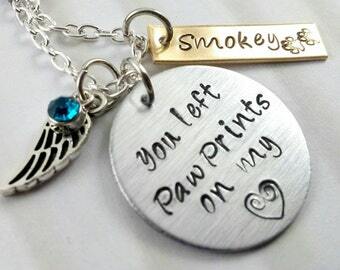 You can choose your preferred colors of charms and stainless heart urn in silver- or gold colors. 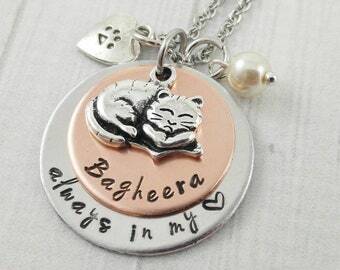 -The heart urns are made of high polished, high quality stainless steel, the pendants are nickel- and led free alloy. 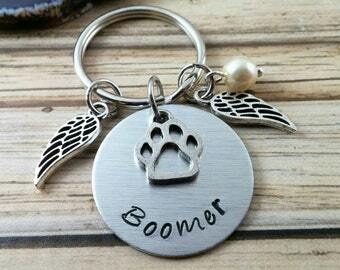 -The name tag is pewter. 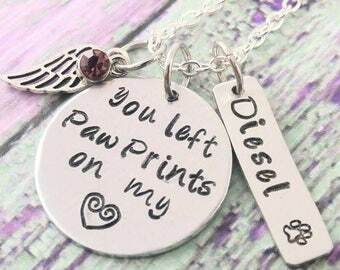 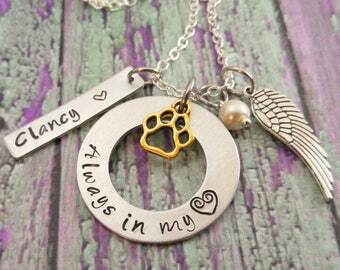 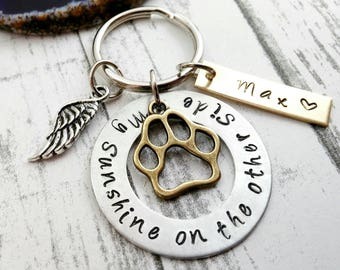 This makes a meaningful piece of dog- or cat memorial jewelry to carry your furbaby close to your heart forever. 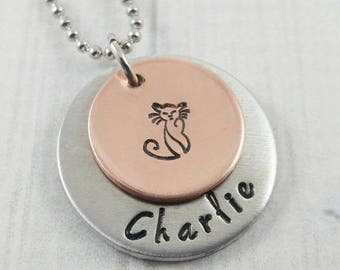 The charms swing on a lovely stainless cable chain, which will never tarnish. 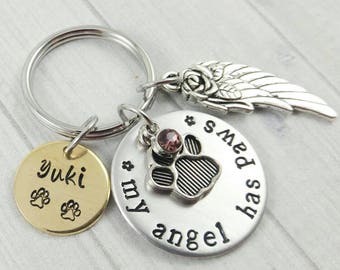 Please choose your color preferences and chain length in the drop down menu. 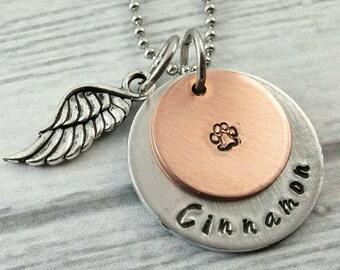 Paw Print Necklace, Custom Pet Necklace, Dog Name Tag, Pet Jewelry. 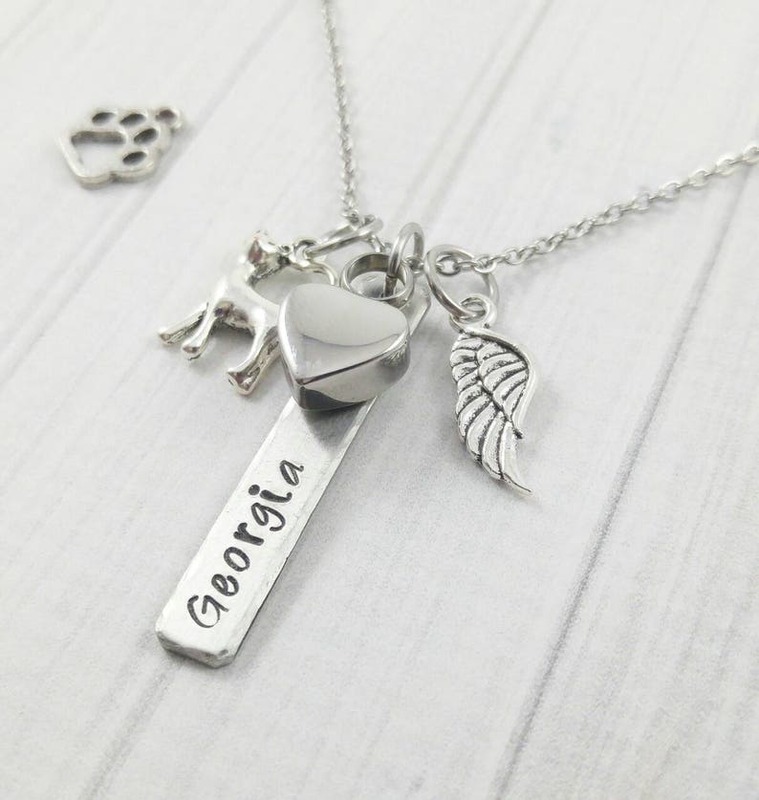 Dog Name Necklace.